This workshop is designed to help you build and maintain a time and priority management system that works for you in your environment. It provides a structured approach for being more effective with tools that can assist you in focusing on and accomplishing what’s most important. Managers, supervisors, and employees who wish to strengthen their ability to communicate with others more effectively. Group size: from 12 to 24 people. 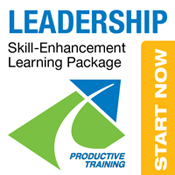 This course is ideal for greater communication consistency within departments or teams. This solid program has been a top seller for several years for good reason. It is highly interactive, provides practical approaches for every day use and it invites noticeable improvements in self-management and use of time planning tools. Many of our clients have had us come back several times to train more employees or even their entire staff due to the welcomed results. This single-day workshop includes brief self-assessments and reminder tips to reinforce application after the training. Optional compatible training modules can help boost sustainability and daily practice by more of your people. Great Returns on Your Skill-Building Investment! Contact us for greater saings when combining multiple training services. Best practices for work & event mgt. “We don’t just do projects – we just do actions…real next actions to move projects along”. 95% of attendees said “YES”. Gives some very realistic and life situations for communication. Co-workers, so they can be better listeners. Others in my group and my boss. Colleagues I work closely with. Co-workers – we all can use some help in communicating with others. All engineers to better communicate with customers. Working level leaders in the company.